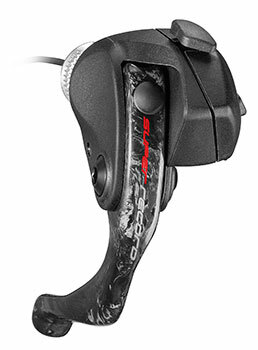 at the risk of pointing out a serious deficiency in my observational prowess, i can't say that i'm necessarily aware of a specific time of year when any of the big three (shimano, campagnolo and sram) choose to release new product. there may not even be such a time; the possibility, nay, probability, exists that new stuff only arrives on the market when development of a new product has gone to gold master, as was once the colloquial term in the record industry (and apparently still is, within the world of software). 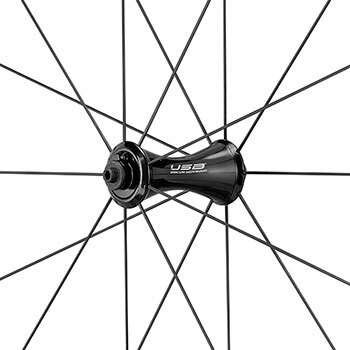 in which case, recent weeks must rank up there with blue moons and the like, with two of the above three releasing new, electronic groupsets upon an unsuspecting world. 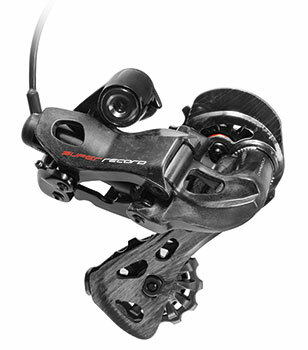 sram's offering continued with their implementation of a wireless setup, while campagnolo, maintaining their relationship with wires, gave us an electronic version of the super-record, twelve-speed groupset. i cannot deny the efficacy of electrons when it comes to gearchanging in the modern world, but, similar to my views on smartphones, i have decided they're not for me. however, though i still form part of the majority, for the time being at least, electronica is doubtless the thin end of the wedge, set to encroach further upon the velocipedinal life. but, irrespective whether you opt for wires, wireless or cables, at some point in their life, those gearsets, brakesets and bottom brackets are going to slide out of precise adjustment, wear out, or simply stop working. a bit like the world of the automobile, the time when you could metaphorically 'hit it with a hammer' and carry on regardless, are slipping into the realms of nostalgia. monty python's bicycle repair man reversed the meme of a mild-mannered man popping into a phone box and emerging as superman. in a town populated entirely by supermen, after a bicycle crash, one of those less than mild-mannered superheroes entered the phone box, emerging clad in a brown overall, flat cap, and carrying a toolbox. that persona all but imitated the gent who owned the bike shop in my home town when i were a lad, one that would scarcely pass muster in the electronic, twelve-speed era. nowadays, the less than average shop mechanic need be familiar with a bit more than a metal toolbox and a hammer. expert mechanic and campagnolo trainer, graeme freestone king, heads up britain's velotech cycling ltd. and is responsible for training shop mechanics in the ways of vicenza, the length and breadth of the country, in conjunction with the recently implemented training facility at uk campag importer, chicken cycles. on the basis that one scarcely wakes up one morning, speaking fluent campagnolo, how long has graeme been following the path of the winged wheel?
" Along with a couple of other colleagues who I worked with at the time, I originated and implemented the idea of Campagnolo having a ProShop technical standard in 2002, when we worked within the CyTech structure. We furthered that at Promech, a forerunner of Velotech Cycling Ltd. 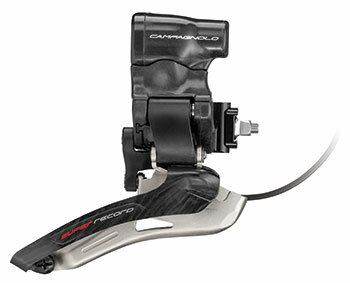 In our current incarnation we have included Campagnolo competencies in our advanced courses menu and those skills have been a specific requirement for Campagnolo ProShop status since we set up Velotech in 2008." the vagaries of industry, worldwide, frequently follows a boom and bust pattern, with lifestyles like cycling, rapidly gaining adherents, yet almost as quickly losing them when economic fortunes change, or something else becomes flavour of the month. during the periods of boom, which may or may not be the case at present, more bicycles on the road, potentially means an increase in concomitant servicing and repair. it's facing reality, however, to recognise that camapgnolo's market share is probably a smidgeon less than that of its peers. nonetheless, there are still mechanics who need to be kept abreast of the latest italian devlopments. so, in the light of the above, roughly how many mechanics does graeme train each year? "On Campagnolo specifically, it's anything from 50 to 70 shops a year, sometimes single mechanics at a shop, sometimes multiple. It varies enormously according to the business model of the dealership involved. This year, with the new facility that Chicken Cycle Kit have put in place, we will be able to cover a wider spectrum of mechanics, although the depth and longevity of Velotech's relationship with the technical departments at Campagnolo will always mean that the most comprehensive training comes from either Velotech, or a combination of courses at Velotech and at CCK." campagnolo's groupset range effectively begins with the shiny aluminium of centaur and ends with the recently unveiled super-record eps, but also extends sideways to their ever-increasing wheel offerings. becoming technically acquainted with the intrinsic features of everything on offer, seems like a somewhat substantial undertaking. can this be mitigated through different levels of qualification, or is there simply one size that fits all? "The full gamut of Campagnolo courses consistes of legacy training, where we look at all the existing and many of the previous Campagnolo mechanical systems. That takes one full-day and is available only via Velotech Cycling. A second day covers the current year product and revisits current technologies in recap; how extensive that recap is varies between Velotech and CCK. The latter course is best suited to shops that already have a lengthy experience with and depth of training from Velotech. 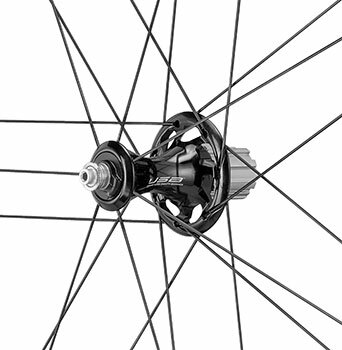 The third day covers all the Campagnolo wheels and specifically the building of G3 wheels which tension and true in a way significantly different from a conventional wheel. This course is again offered at Velotech Cycling only. "So, the full Campagnolo accreditation is universal, but it can be attained and critically, maintained, through two different routes: a modular three-day course at Velotech Cycling, or a combination of training at Velotech and at CCK. Annual maintenance training to keep an already otherwise fully-trained shop up to date with current technology, can be carried out either at Velotech or at CCK." it's many a long year since i had to sit an exam, though number one son currently finds himself in a situation where accreditation in the electrical industry is necessary to further his career. thankfully, he is a tad more adept than his father at passing the necessary, practical tests. i was (and perhaps still am), pretty much ok when it comes to the more academic of pursuits, but i do harbour doubts over my practical abilities - aside from bicycle maintenance that is. however, i'd imagine it's unusual to find yourself employed as a bicycle mechanic following acquisition of a degree in astrophysics or philosophy, so the passing of exams is likely still not without its pitfalls. in the case of a trainee failing the test, what happens? or is this more a case of an open-ended situation with no real failure to be experienced? "There are multiple-choice question papers in use at Velotech, so there are pass/fail ctiteria which check the mechanic's understanding of the course material. These are mostly applied where a candidate is looking to gain a Velotech Level 3 accreditation. CCK have not used the multiple-choice question papers designed by Velotech in the current tranche of training." last year, campagnolo were kind enough to send a complete record, mechanical, twelve-speed groupset for review on the post, a groupset currently happily married to a ritchey logic frameset. though i feel quite comfortable negotiating the task of fitting and setting up campagnolo componentry, i did contact graeme in advance to ask if there were any secret handshakes of which i should make myself aware. the factory compiled powerpoint presentation he generously sent in my direction ran to about 95 pages, featuring technical info, images and even video. given the complexity of the beast, has he found that this needs to be matched by an increased amount of training required? "To some extent yes, but there is always an issue with the amount of time out of the shop an individual tech can reasonably take. I spend about three weeks of each year visiting a wide variety of manufacturers, for information gathering missions and in training myself, but for many shops (rather than training organisations) that would be impractical and uneconomic. "In the case of the Campagnolo course, we have removed and will have to continue to remove certain topics, year after year, to make way for the new. However, at Velotech, because we have more time with the candidate than is the case at CCK, we have the opportunity to address, either formally or informally, an increased breadth of knowledge. Again it's a situation where at CCK, the training is far more focussed on specific technologies that are new or significantly changed in any given year. They are generally working with dealers who already, through working with Velotech, already possess that breadth of knowledge. Velotech has the opportunity, equipment and experience to cover a wider scope." amongst a pile of compact discs and dvds behind the tellybox in the sitting room, lies one of the latter, containing a comprehensive selection of scanned campagnolo catalogues from bygone years. every now and again, i pull it from 'neath the ever growing pile of video entertainment and wallow in the nostalgia depicted almost entirely in the shape of polished alloy italian trinketry. 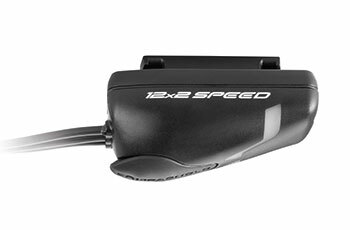 comparing it with the carbon of twelve-speed super-record eps, is to compare two substantially differing worlds. bearing in mind that the two worlds are separated by not much more than a decade or so, is there a pressing annual requirement for training in the light of the moving target of product releases? 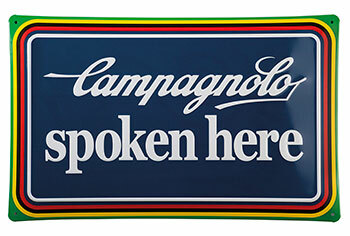 "For Campagnolo ProShop status, yes, there is. 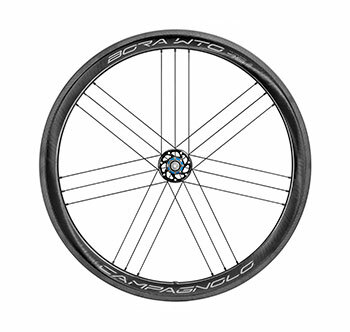 Shops that are working within the ProShop structure and wishing to benefit from the increased commercial and technical support offered through Campagnolo via channels like Velotech Cycling (technical), CCK (technical and commercial) and ZyroFisher (commercial), have to maintain a current technical knowledge, or risk losing their ProShop staus. We do our best in each calendar year to ask techs to come in for training only once, from existing ProShops, but in exceptional years (like this one) we may need to see them twice, if we have two significant technical releases within a twelve-month period." i have known graeme for over ten years; we bump into each other now and again at cycle shows and i've no doubt his e-mail inbox is well populated with pleading requests, from yours truly, to explain why the drive-side bottom bracket bearing has just exploded in every which way when trying to remove it, even with the very tools he recommended (you'll laugh when i tell you; suffice it to say it was entirely the result of (this) pilot's error). gaining that sort of knowledge can be expensive in two ways; either i break a lot of stuff trying to get it right, or i'd have to attend one of velotech's accredited courses. in the case of the bike shops, who pays? campagnolo or the bike shop? "This varies. 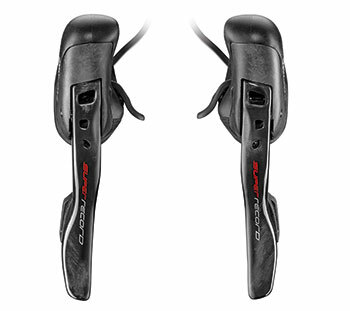 In some cases, Campagnolo will cover all the costs. In other cases, perhaps the majority, the wholesaler and Campagnolo co-operate to cover the costs according to a formula calculated each year. In some cases, mechanics or shops simply opt to pay for all of their own training. "In the situations where Campagnolo contributes, be it with or without the input of the wholesaler, or where the wholesaler bears the whole cost of training, there is a commercial expectation on the shop, in terms of what one might crudely call a buy-in. This can be expressed as a set of very specific purchases (as in the ProShop contract for new ProShops) or occasionally, a view is taken on a level of ongoing business." given that there is such a thing as 'return on investment', what are the potential benefits for the bike shop? "Apart from the built-in advantage of differentiation and a wider technical base than competitors that haven't had the benefit of specific brand training (often including developing a broader understanding of some comparatively tightly-focussed mechanical ideas), there are specific programmes available. There's the availability of a test bike or bikes in store that promote both the Campagnolo brand and also focus attention on the shop. Additionally, there's a listing on the Campagnolo website (after 'Product news', the 'dealer finder' is the most heavily-used page on the website), referrals by CCK, ZF and Velotech Cycling. 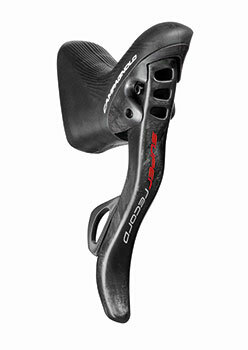 Only the other day, I referred three final customers to specific Campagnolo ProShops. Priority supply on new product, ahead of the online businesses (which cannot by definition be ProShops) and other non-ProShops could legitimately be seen as an important commercial benefit. "The overall benefits of technical training in any workshop are well understood and there is an exponential curve effect. Small amounts of carefully considered, but comprehensive, detailed training at regular intervals, initially show only limited benefit to the workshop and to the technicians (and therefore to the final customers). However, once some basic frameworks become embedded and on which to hang specific practices or knowledge from, the overall benefit in terms of technical competence, both to the shop and to the customers of that shop, ramp up. A ProShop that has been a ProShop for several years, will be at a level very much in advance of a relatively new ProShop. That's because that year on year knowledge and experience interlock develops exponentially. Individual technicians make the connections more quickly and in a more profound way, the more basic bits of information they have to help complete the jigsaw." so, overall, with the combined technical might of velotech cycling and chicken cycle kit, those shops and individuals who wish to gain expertise in the campagnolo realm would appear to be pretty well catered for. but in order to teach, first you have to know. so who trains graeme? "Fundamentally, I am trained at Campagnolo. Each year I attend two formal training courses, consisting of two days each, to keep my current knowledge up to date. CCK attend a single-day course that encompasses the current year technology. I then visit the factory three or four times more each year, usually for one or two days at a time, to look at specific technical issues. On those days, it's very much an informal, two-way process. I will be gathering technical information, of course, but equally I will be sharing in-market experience with the factory. "The connection between Service Centre status and being a training provider is intimate. The experience of seeing the product both at its best and at its most abused, or in a failed state, as a Service Centre, can't be over-estimated in terms of how that informs the training process. The most experienced techs, provided they can transmit their experience well, are undoubtedly in a position to give the best overall technical insight. This is why I visit the factory over and above theirrequirement of once a year. The synergies obtained by discussing technical problems and queries face-to-face, with the engineers responsible for the design and implementation of new (and not so new) technologies, is hugely beneficial in delivering effective training. "I strongly believe that the techs, be they those who come on courses with us, or those that I speak to day by day (either with my trainer's hat on, or that as head tech at Velotech Cycling Ltd), are another very significant training resource. I learn from other mechanics every single day of my working life. "So although my formal training each year is very much 'from the horse's mouth', at the Campagnolo factory Training Centre in Vicenza, there is no doubt that my training on both the general and specific topics is honed by contact with other technicians in the industry. Nominally, my students..."
grateful thanks to graeme freestone king of velotech cycling ltd. for generous assistance with this feature and for constantly being my campagnolo consultant on speed-dial.